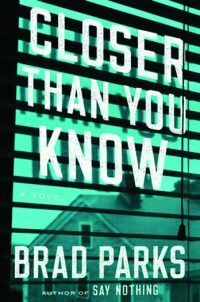 From the author of the incredible “Say Nothing,” this new title is so riveting that it pulls you even deeper into the thrilling imagination and amazing writing of the talented Brad Parks. The main character in this book is Melanie Barrick. She was given a warning long ago. She was told that disaster is always closer than you know. Melanie’s early life was not one of peace and serenity. She grew up in the foster care system and barely got off that roller coaster. Now, being an adult, life is certainly on the sunnier side, considering she has a husband and a child she truly loves more than life. It’s gotten to the point where she’s finally in a good place and wishes to put everything bad in the past and leave it there. Unfortunately, life is never that easy and disaster is right around the corner yet again. Out of the blue, while she’s at work, Social Services removes Melanie’s son from his daycare center. Life becomes even more confusing when she gets home and realizes that the law has invaded her space and found enough cocaine to put Melanie behind bars for a good long time. She has got to prove this is a setup. She must prove she is innocent to the world, before her own beloved son is lost to “the system” that still causes Melanie nightmares. Add in a lawyer who is struggling to solve a cold case while she’s supposed to be helping Melanie, and you have a tale that at times makes the blood run cold. 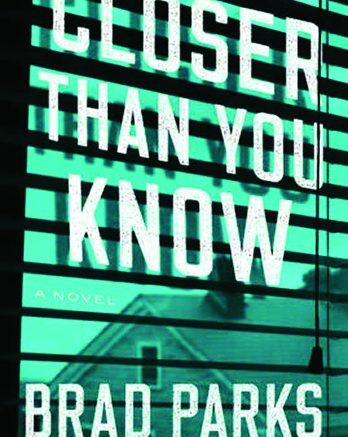 Brad Parks is a master at creating frightening, emotionally-overcharged stories that take your breath away. Be the first to comment on "“Closer Than You Know” by Brad Parks"